Domiki Proodos is a design and engineering company founded in 2006 as an extension of the well established leading Greek construction company ATEKE ltd. Domiki Proodos provides architectural, planning, landscape architecture, interior design, engineering, and graphic/signage services from early program development to project closeout. It also provides specialized services in the petroleum industry. Part of the specialized services is to povide accurate and detailed measurement and calibration of underground storage tanks (UST) as well as over ground storage tanks used in petrol stations, airports and private fuel stations. 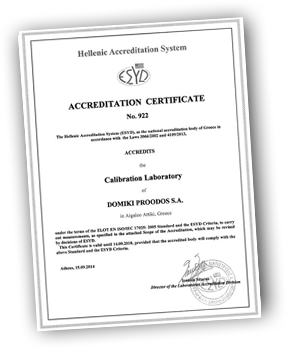 The company is an Accredited Calibration Body (accredited to ISO17025 by ESYD). Realizing that success is derived from the strength of the individual as part of the whole, a conscious effort is made to translate the company's family spirit, history and tradition into a motivational work ethic. This section is available only in Greek. 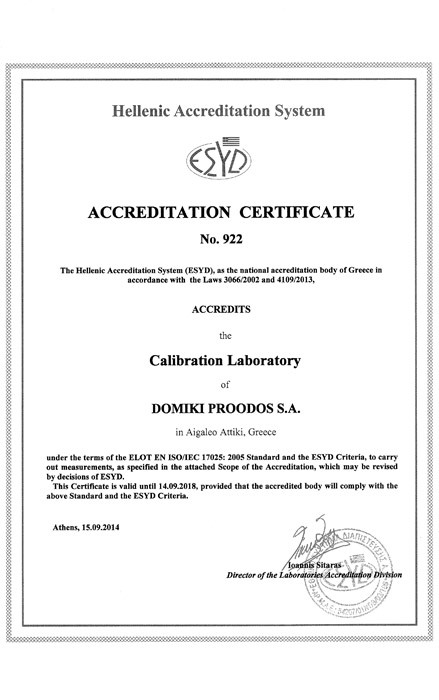 copyright © 2014 DOMIKI PROODOS S.A.